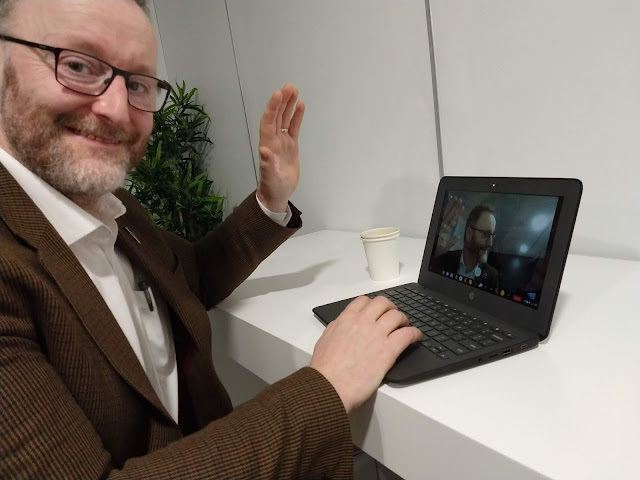 I had a chance to have a brief spin with one of the first AMD based Chromebooks the other day (thanks to Ian Nairm and C-Learning) at BETT, the HP 11A G6 EE. 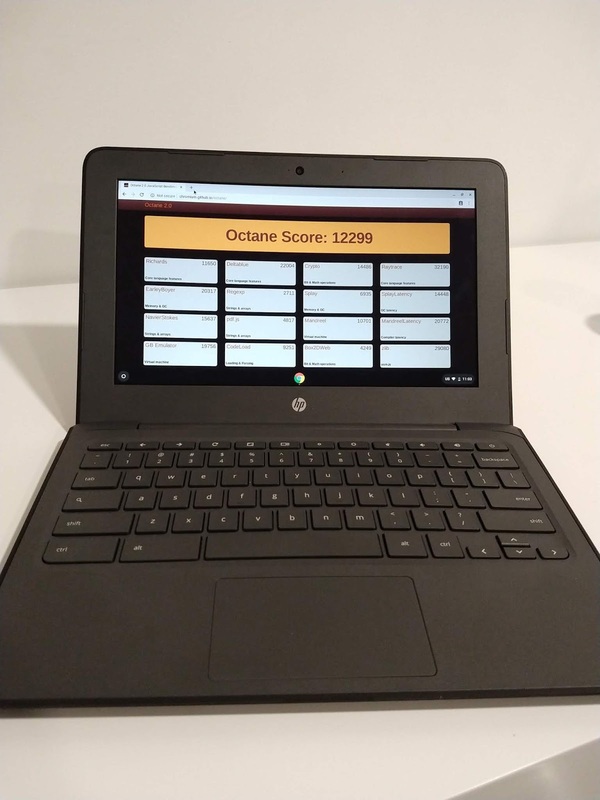 This device uses the AMD A4-9120C APU and the quick benchmarks I managed run set this Chromebook a bit above the current G5 and G6 EE's from HP and perform better than the HP 360 G1 and Acer Spin. 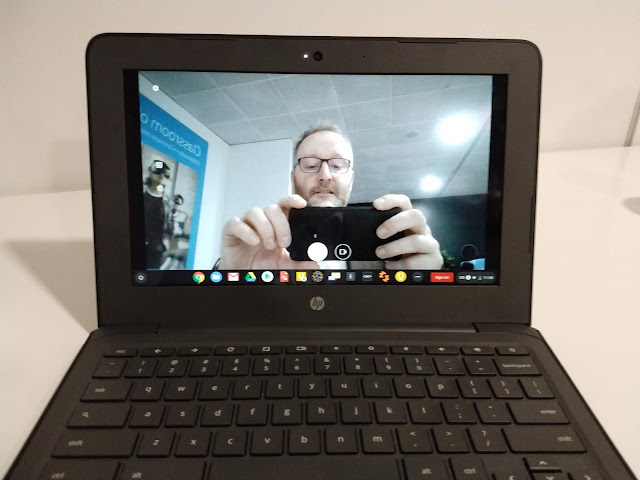 In terms of physical appearance and connectivity - it much the same as current gen HP 11's and similar "clam-shell" Chromebooks. The model I looked at was touch screen and the screen folded 180 degrees. It's not as good a performer as the new Gemini Lake Celeron based Intel devices. They seem to be hitting around 16000 on a quick Octane Benchmark (all I had time to run). However, they are more expensive. However, the graphics performance did seem good - webcam was responsive and high-resolution video was smooth - the Radeon R4 Graphics clearly helping here. 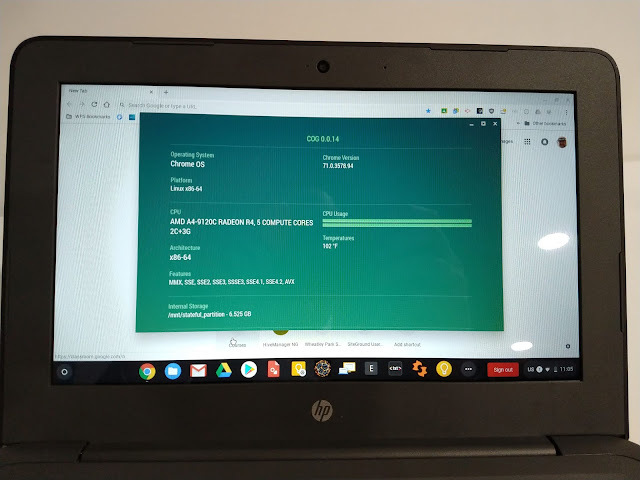 It's good to see lower-end Chromebook performance now exceeding that of the Haswell based devices (Acer C720 for example) that came out years ago. I can see this device maybe becoming our standard "loan" Chromebook this year.